I've been hearing so many great reviews about this quaint restaurant for a while now but it was only recently that I got to try the most-raved about Vietnamese hole-in-the-wall place in town. 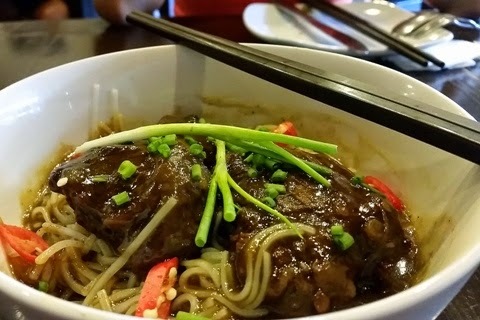 Our trip to Hanoi last year really expanded my palate to the wonderful flavors of this amazing cuisine. I mean yes, Saigon has its appeal and all, but it is in the streets of Hanoi that I immensely enjoyed the varied elements of the herbs, spices and aroma that gives this cuisine its own unique charm. 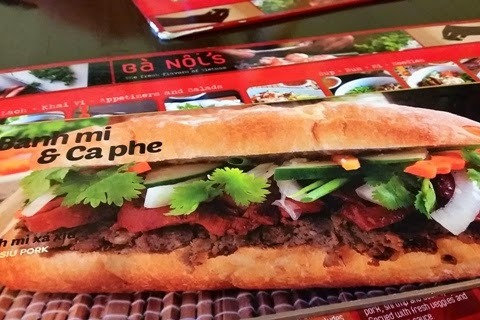 Banh Mi is probably the most obvious influence of the French colonization to Vietnamese cuisine. The photo was so appetizing that I find it so hard to resist ordering the French Baguette sandwich. Good thing I defied temptation as my tummy had no more space after finishing my bowl of delicious and authentic Bun. Maybe next time. 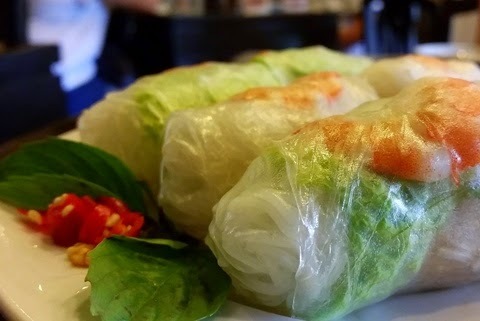 The fresh spring rolls were the perfect appetizer to prepare us for more delicious meals that came after. Looks can be deceiving because one bite of this simple looking dish will elate you into euphoric state that you wish you had the entire order to yourself. Special mention to the best tasting peanut sauce I've tasted, better than what they serve in Vietnam! 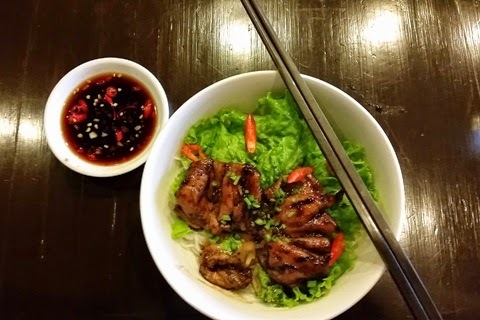 As easy as it is to find Bun Cha in Hanoi, I can't find a single restaurant that offers their staple dish in Manila until I read it in Ba Noi's menu. I immediately looked for it to see if it was the same as the one carved in my mind (all dishes on their menu have their corresponding photos). Yes, it may bear the same name but there's something about the photo that baffled me as to how I always imagined the best Bun Cha I've had in Vietnam so I just settled for another Bun dish. 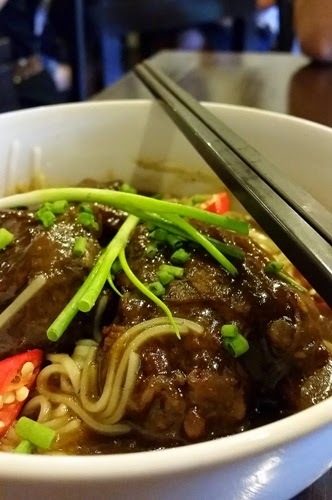 Ba Noi's Bun Bo Kho is a bowl of aromatic and slow-cooked beef chunks on top of rich sauce and rice noodles. 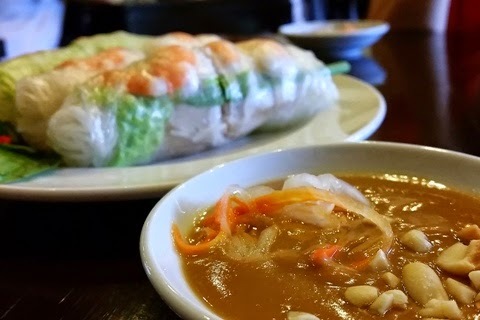 The dish also came with Vietnamese fish sauce on the side that I happily poured over. 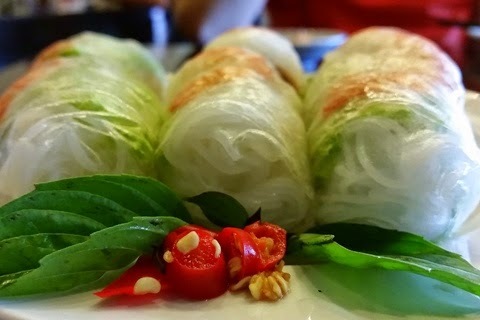 DB ordered another new dish Ba Noi's has added into its already extensive menu of Phos and Buns. 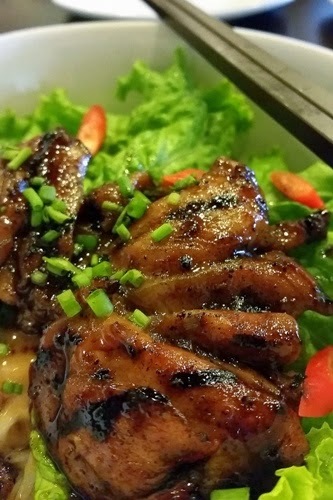 I was able to try a portion of the grilled chicken which, as expected, was also bursting with flavors. 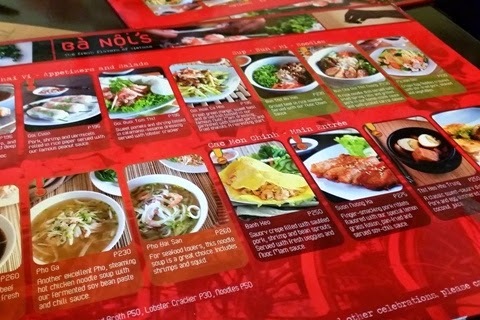 Ba Noi's is undoubtedly the best Vietnamese restaurant in Manila! It may be a long trek from where I live but its one route I wouldn't mind taking whenever cravings kick in.